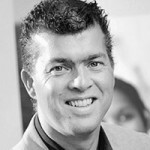 Jean-Paul Urlings, business developer valorization at Maastricht Instruments, has left the company at April 1st. In november 2014, he started his own company BizzDom. After working parttime in both functions for half a year, he will focus completely on his own company from now on. In BizzDom Jean-Paul supports entrepreneurs in doing business abroad. For this, he has developed a new efficient approach to find partners worldwide. In the heart of Bizzdom is the Partner Starter. In this approach, BizzDom helps entrepreneurs to find business partners worldwide. The Partner Starter is based on two important assumptions. First: finding partners from within the country where they are sought. BizzDom works with its own partners because of the believe that a native search always delivers better results than a search by somebody who doesn’t live in the targeted country. Second: start from the content but bring entrepreneur and partner in contact personally quickly. Because content-wise the connection can be great but if there is no personal connection between entrepreneur and partner, the cooperation won’t work. BizzDom offers the Partner Starter via its website www.bizzdom.biz. An entrepreneur can fill in a form to do a connection request. BizzDom will contact the entrepreneur to go through the request and to set up a personalized page on bizzdom.biz. BizzDom will deploy someone to do the search for partners and report back within two weeks via the personal page of the entrepreneur. The entrepreneur then can prioritize the partners on his personal page. After this, BizzDom will seek contact with one of them. When contact is set, BizzDom offers an innovative and safe video conferencing system to bring entrepreneur and partner in contact with each other, face-2-face. In this online meeting, an advisor from BizzDom can be present, for free. For more information, see www.bizzdom.biz, or mail to jpu@bizzdom.biz or call 0031 6 82009974. The team of Maastricht Instruments wishes Jean-Paul all the best in his new business and thank him for his contribution of the past years.